I'll wait and see how the other versions of Starlink perform. Starfox isn't enough justification to get a handheld version of the game, unfortunately. This is one of those cases where you need to choose between visuals and performance or content. I know it has a lot of content, but the rest of the game suffers for it. I treat it the same as when someone buys the base game, but not the DLC expansion for it - for whatever reason. Of course, it's great to have additional content, but that depends entirely on what the person values most. This is exactly like when some games have content exclusitivity deals with certain retailers or in certain editions. Like having an extra story arc with some missions + other bonuses like extra costumes in a Legendary or Ultimate edition, but you pay $20 more. Or in the case of retailers, you don't get a $10-30 discount you would get if you bought from another place. I have watched both versions of the game here on Gamersyde, and the hit to quality would bother me a lot more while playing the rest of the game, than I would be pleased with the Star Fox content. But I'm not the biggest Star Fox fan, I'm sure that to some people that's the better version. But not for me. 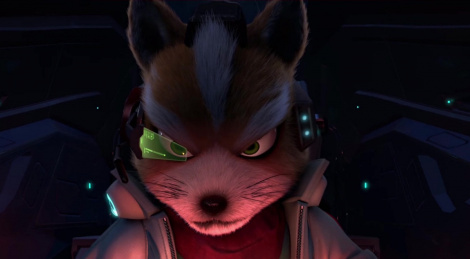 I actually quite liked most of what I've seen of Starlink - minus the toys' gimmick, it looks great and it's the sort of genre that's been almost completely ignored by AAA developers - most of the ones that are being released, are indies like EverSpace, Star Citizen, etc. Even games like Ace Combat 7 are a dying breed, unfortunately.